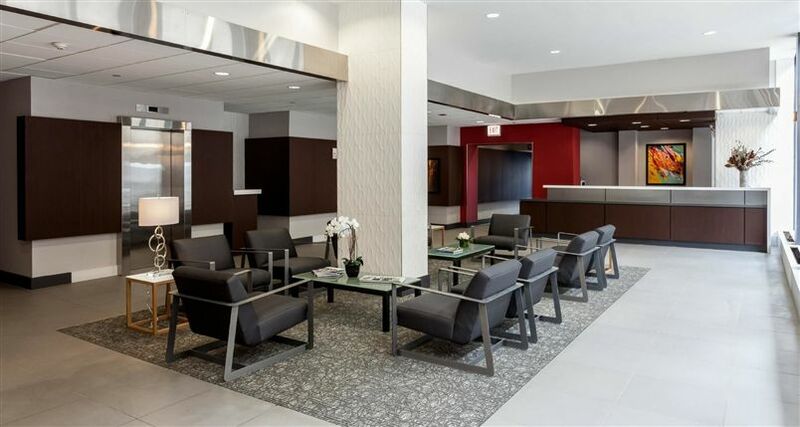 Property Location Located in Chicago (South Loop), Best Western Grant Park Hotel is minutes from Grant Park and Columbia College Chicago. This hotel is within close proximity of Field Museum of Natural History and John G. Shedd Aquarium. Rooms Make yourself at home in one of the 172 air-conditioned guestrooms. Complimentary wireless Internet access is available to keep you connected. Bathrooms have showers and hair dryers. Conveniences include laptop-compatible safes and desks, as well as phones with free local calls. Amenities Take advantage of recreation opportunities such as a fitness center, or other amenities including complimentary wireless Internet access and concierge services. Dining You can enjoy a meal at a restaurant serving the guests of Best Western Grant Park Hotel, or find a snack in a coffee shop/café. Quench your thirst with your favorite drink at a bar/lounge. Business, Other Amenities Featured amenities include a business center, express check-in, and complimentary newspapers in the lobby. Special Event Rate - 1 King Size Bed. 37 Inches TV, Iron & Ironing board, hair blow dryer, coffee maker, High speed internet. No breakfast included. Additional fees: Valet parking $52 per night unlimited access for in and out. Regular cars only. . You must be at least 18 years old to check into room. Special Event Rate - 2 Full Size Beds. 37 Inches TV, Iron & Ironing board, hair blow dryer, coffee maker, High speed internet. No breakfast included. Additional fees: Valet parking $52 per night unlimited access for in and out. Regular cars only. . You must be at least 18 years old to check into room. This Rate is based on 2 person(s) in room over age 18. SUITE KING BED NON SMOKING - Suite King Bed Non Smoking. - Room Only - This discounted rate is based on a limited number of available rooms. Best Available - Best Available - Suite, 1 King Bed With Sofa Bed, Non Smoking, Refrigerator And Microwave (With Sofabed) (Non-Refundable) Room only Free High-Speed Internet. Special Rate - Best Available - Room Assigned at Check-in - Sleeps Two Adults This special rate is offered for a limited time! Don't Delay, Book Today! This rate is Non-Refundable. Best Available - QUALIFYING MEMBER RATE (Military) (Government): Government/Military Rate Government/Miltary. Suite-1 King Bed Non-Smoking High Speed Sofabed Micrfg. Work Desk. Best Available - QUALIFYING MEMBER RATE (AARP) (Senior): Senior Rate Citizens 55Yrs Plus Or AARP Id. Suite-1 King Bed Non-Smoking High Speed Sofabed Micrfg. Work Desk. Best Available - QUALIFYING MEMBER RATE (AAA): AAA CAA Rate Members Must Show AAA I.D. At. Suite-1 King Bed Non-Smoking High Speed Sofabed Micrfg. Work Desk. Located in Chicago (South Loop), Best Western Grant Park Hotel is minutes from Grant Park and Columbia College Chicago. This hotel is within close proximity of Field Museum of Natural History and John G. Shedd Aquarium. Make yourself at home in one of the 172 air-conditioned guestrooms. Complimentary wireless Internet access is available to keep you connected. Bathrooms have showers and hair dryers. Conveniences include laptop-compatible safes and desks, as well as phones with free local calls. You can enjoy a meal at a restaurant serving the guests of Best Western Grant Park Hotel, or find a snack in a coffee shop/café. Quench your thirst with your favorite drink at a bar/lounge.